Ok, I'm about to demonstrate exactly where in the country I am from with this simple and satisfying recipe. How's that? Well, you see, we enlightened people in western Pennsylvania have discovered the nirvana that is french fries on a salad. What, you've never tried it? Trust me, a steak salad isn't a steak salad without those yummy potato planks. Best part? 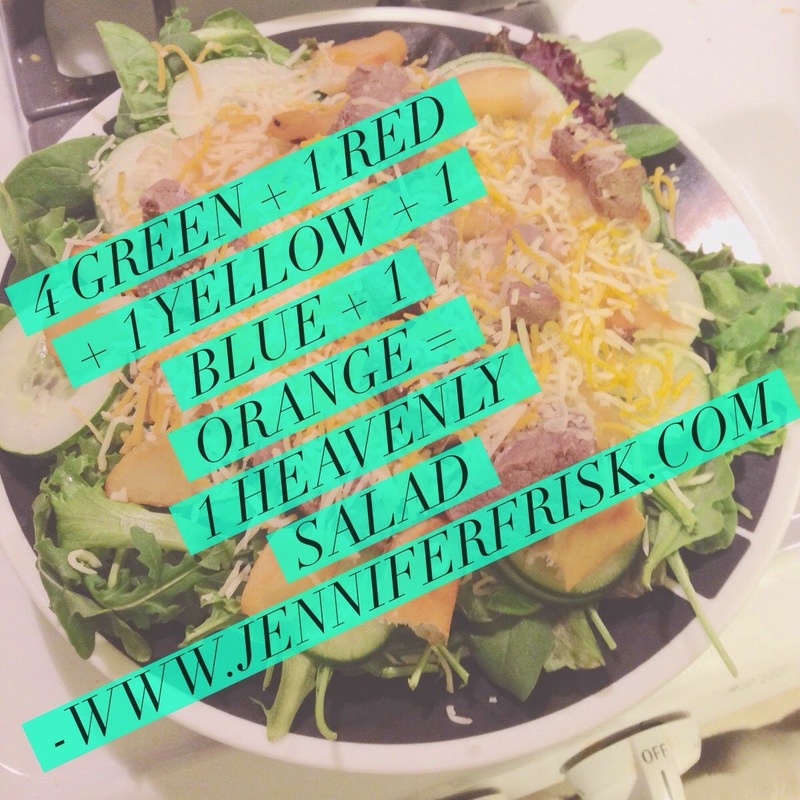 You can totally make this salad 21 Day Fix approved. Just don't fry those fries, and you're golden. Layer all ingredients, being sure to leave the fries and cheese for the top. The heat from the fries melts the cheese into gooey goodness.